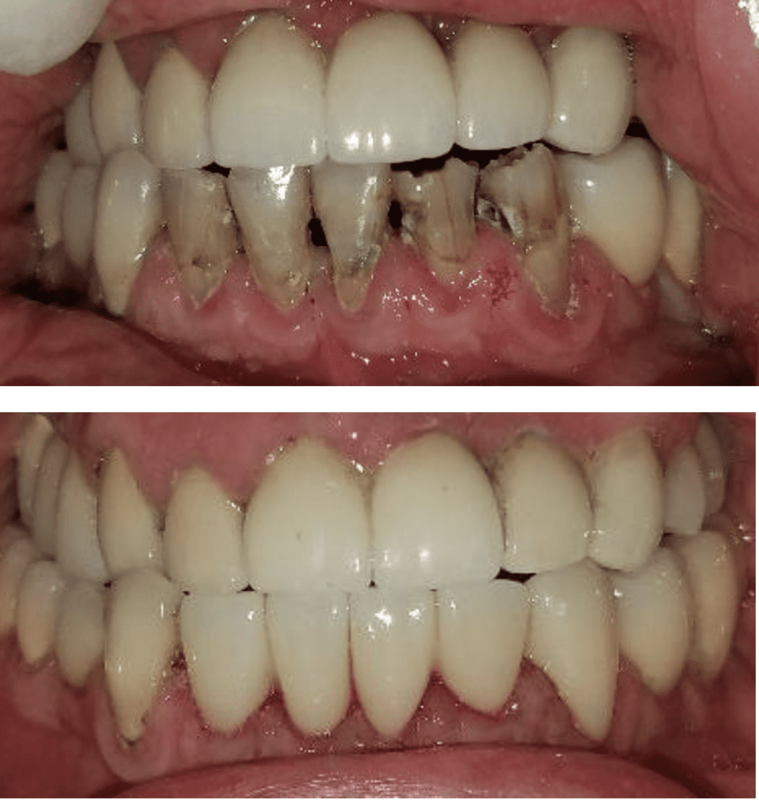 With contemporary restorative materials it is possible to restore the tooth structure with fillings that are virtually indistinguishable from the tooth structure. In following case the broken front tooth is restored with bonded composite filling material that perfectly mimics the tooth color, translucency, and the shape. This approach is very conservative and there is no need to reduce the tooth structure for porcelain veneer or a crown. Upper four front teeth were treated and covered with full porcelain crowns. Tooth whitening was done to brighten up the smile. Upper right first premolar tooth was fractured. Tooth was safely removed and restored with Implant in a day. The after picture is taken two weeks after the procedure during the follow up visit.